1. Temple extension: SAI DHAM extension work has started on 7th June 2010 which will take about 6 months for completion - MOST ACTIVITIES AND FUNCTIONS TO STOP EXCEPT FOR EVENING ACTIVITIES ON SATURDAYS - Please enquire on phone before coming to Saidham . The Sai Foundation UK Youth Wing was a small group of young people who serve the main purpose to help the main committee of Sai Foundation UK. The Youth Wing was not a club, but rather there to aid, volunteer and organise events to raise the Mandirs profile as well as to help and raise money for charitable causes. Mainly because of the busy schedule of the youth members, the wing has suspended the activities. Efforts will be made to revive the wing. Below are some of the events the Youth Wing has organised or helped in the past few years. 1st September 2007 was commemorated as Aradhana Day at Sai Dham for Sai Das Babaji, the founder of this temple. 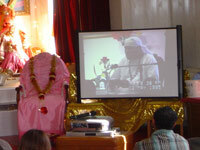 In memory of Babaji a short bhajans session and discourse was shown on a large screen projector next to where he would normally sit, it was shown to some special guests who had come from London by coach to visit the temple. The video was from 1995, a year after the temples inauguration. 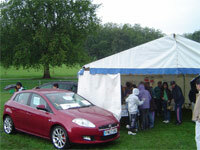 With big prizes including a Car Satellite Navigation System, Digital Camera and an MP3 Player, the Youth Wing set up an even bigger stall at the 2007 Nottingham Asian Mela. Despite the bad weather we managed to raise over £220, we mounted a car, filled it with balloons and people could have a guess at how many balloons were in the car for £1. Like in 2004 a large proportion of our raised funds will be going to Sight Savers International. 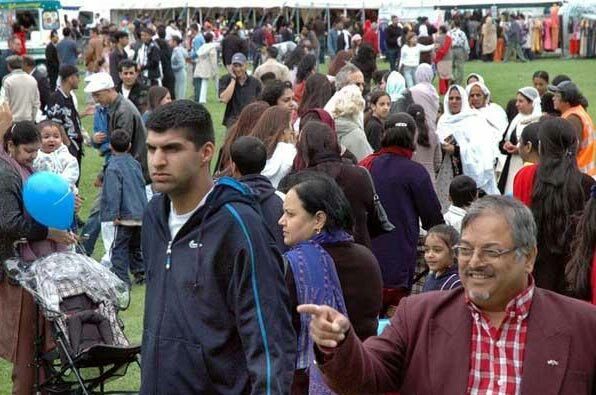 To view photos from the Mela click here. 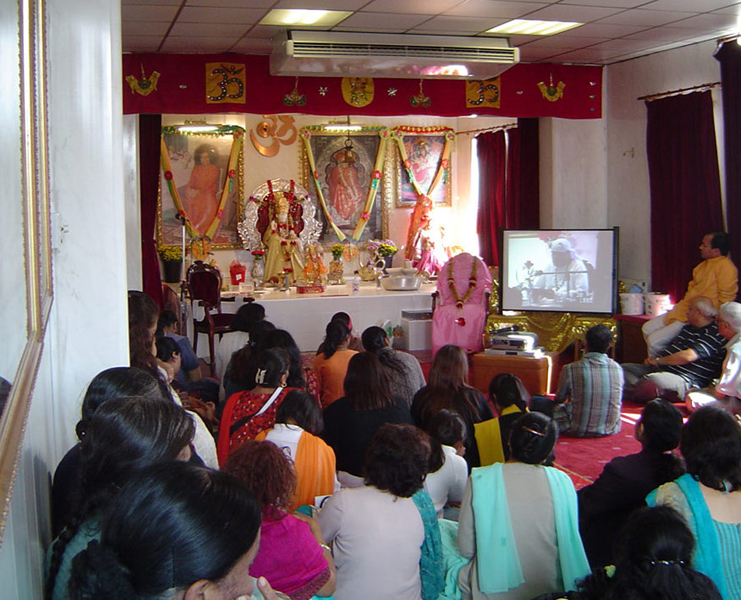 In October 2006 around 150 devotees travelled from London to visit, catering for 3 coaches worth of people was not an easy task but the Youth Wing helped to manage and coordinate people around the Mandir. The coaches were parked in a large car park quite a distance from the Mandir and members helped take the elderly to the Mandir via cars, served food and sold Shawls for Shirdi Baba. 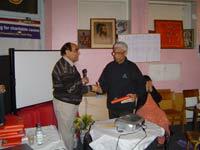 The organiser of the event, Dipak Mistry from London, gave a short speech afterwards, to view it click on image. 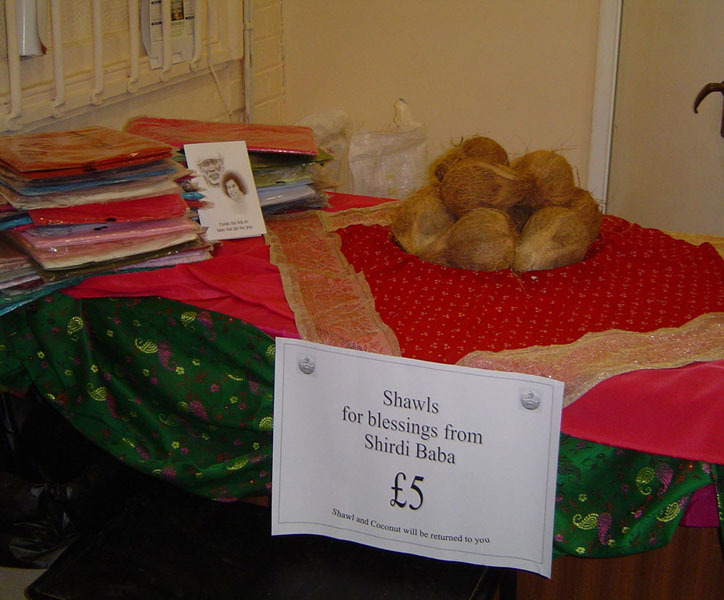 Sai Dham has held a number of Mata Chonkis and Jagrans, the Youth Wing has helped sell chunis for these, including coconuts and bangles as well as Shawls for Shirdi Baba in an event when 150 people came from London to visit the Mandir. This along with selling items in the small Shop that is setup in the Mandir has raised over £400. Some of which was sent to the Prashanti Dham project in Ujjain, India, the head quarters of Sai Foundation organisations around the world. On Sunday 6th August 2006 the Youth Wing organised an exciting Cricket event which got devotees, young and old involved in a competitive cricket game. It was a clear summer’s day with blue skies and plenty of refreshments for the families of spectators as they watched the competitors play two exciting innings of cricket. 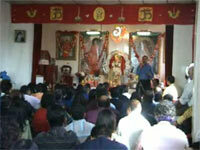 The successful event ran by the Youth Wing raised £100, to view the highlights click on image. The Youth Wing has held quizes on Indian Independance Day and Republic Day in the past, with prizes and refreshments like Samosas and Chaat both were well attended events! To view the quiz gallery click here. 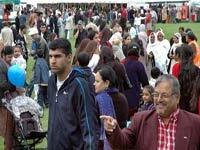 The Asian Mela on Forest Fields in 2004 was the first Asian Mela in Nottingham. The Youth Wing setup a car stall to raise money for Sight Savers International, we mounted a car, filled it with balloons and people could have a guess at how many balloons were in the car. The winning prize was a DVD player for the closest guess and runners up got tickets to the cinema. Our first successful event raised around £100.